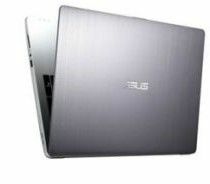 Asus has become one of the first (if not the first) PC manufacturers to announce an Ultrabook with an Intel Haswell CPU, the VivoBook 551, and along with the new silicone the new PC also packs some other features. 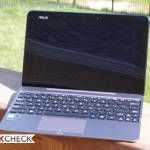 CPU wise the VivoBook 551 runs an Intel Core i7-4500U Haswell chip at 1.8GHz while the rest of the spec sheet consists of a hybrid storage solution with a 24GB SSD cache disk and 1TB HDD, 4GB DDR3 RAM (max 8GB), Nvidia GeForce GT740M discrete graphics, gigabit LAN, WiFi b/g/n, Bluetooth 4.0, 3 USB ports (1x USB3, 2x USB 2), DVD burner, SD card reader, HDMI and a HD webcam. The screen is a 15.6″ LED backlit one at a resolution of 1366×768 which seems out of place compared with the rest of the specs. The OS is Windows 8 64bit and the device measures 380x258x21mm and weighs a sturdy 2.4kg (5.s lbs) including the 65w 4500mAh battery. The 551 is expected to hit US shelves soon with some retailers already taking orders, pricing starting at $1000 depending on the retailer. While asus is quick out the door with their announcements not all of them see the light of day when they are supposed to, take the transformer as a recent example. It will be interesting to see what haswell brings to battery life on this but otherwise its unremarkable. A 1366×768 display is barely tolerable on a 11.6 these days, on a 15.6 you need 1080p for anything outside the budget laptop range and its even arguable for those. Interesting that they are going with a hybrid storage for this. My guess is the HD will eat any power savings by haswell though. For a laptop with a gaming GPU, I disagree with 1080p, as it tends to drag down the mid-range GPU you get. Still, 1600×900 should be the minimum for a 15.6″ display even when you buy it for games. Basically, 1600×900 is best for 13.3″ displays. 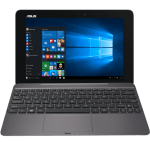 My guess is, that Asus must be planning to undercut the competition with this one, cause 1366×768 is a truly poor choice. Shame on the resolution. Is 21mm considered an ultrabook still? 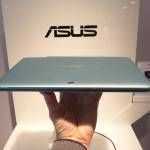 I thought the specs were different for an ultrabook? Or were the intel specs just guidelines? Crap resolution + hybrid drive (not even 32GB cache): it’s a low end Ultrabook at a premium price. How do pc makers expect to reverse the downward pc trend with such bad value? 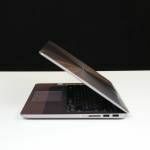 Still waiting for the first Hashwell ultrabook to be announced…this does not cut it. It’s a strange mix of old and new. The resolution is very old. 4 GB is old, 8GB is the minimum now. Hybrid drive is ok. Weight and thickness: who cares. But they can’t sell that at 1,000. It’s maybe twice as much as it’s worth. Weight and thickness: who cares. 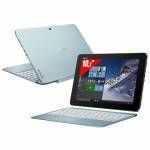 Everybody who is looking for an ultrabook cares !! Weight is the singular most important criteria for me, and size is the second. I travel all the time, need and ultrabook that is small, and has superb battery life…that`s why I am waiting and waiting for the Hashwell convertibles. Resolution FAIL! This is 2013, 1366×768 was fine FIVE YEARS AGO!